Robust polycarbonate material used in the VELUX emergency exit dome is virtually impervious to damage from hail and other extreme weather. Practical seamless design and use of PVC material helps keep the internal finish clean. Polycarbonate withstands impacts and fire. Two-layer, low-energy pane with laminated internal pane and a 4mm toughened outer pane with heat insulation. 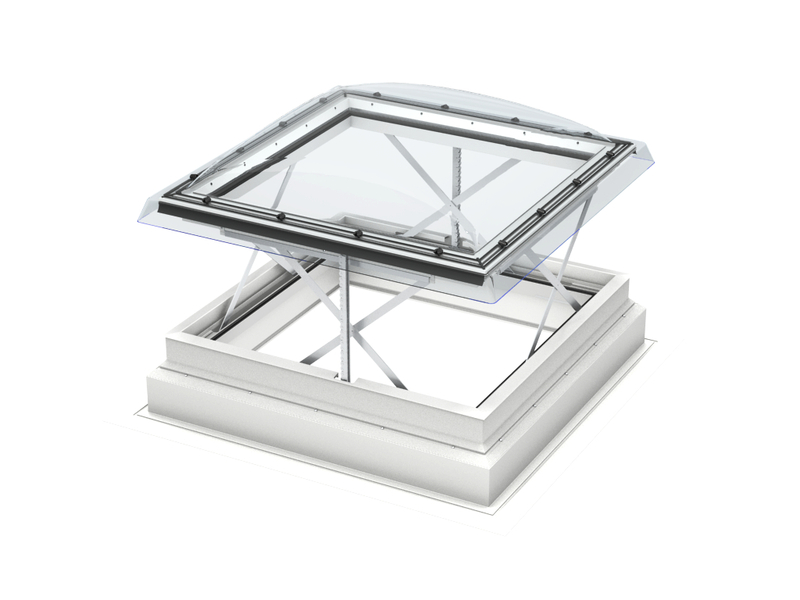 This special flat roof window has a manual emergency exit functionality and opens up to 60°.